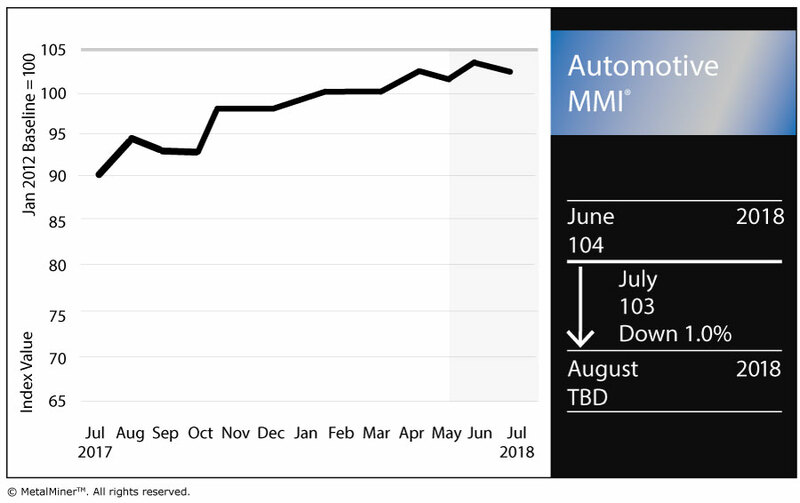 The Automotive Monthly Metals Index (MMI) fell one point this month for a July reading of 103. Nonetheless, June was a good month for the top U.S. automakers. 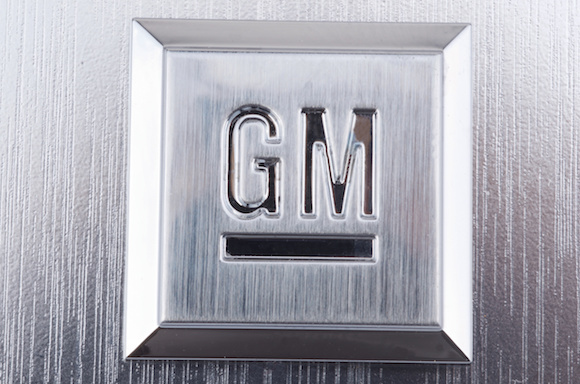 General Motors, which this year announced it would only report sales on a quarterly basis moving forward, reported its Q2 sales were up 5% year over year. Chevrolet and GMC sales were up 6% and 7%, respectively, while Cadillac sales were up 3% year over year. Ford’s sales were up 1.2% overall, with the breakdown of individual vehicle categories reflecting the transition away from traditional cars. Ford’s sales of trucks and SUVs were up 3.2% and 8.9%, respectively, while car sales were down 14% year over year. 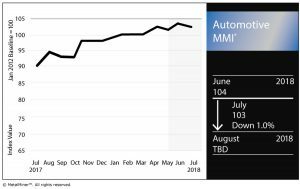 Through the first six months of the year, however, Ford’s sales are down 1.8% compared with the first six months of 2017. Fiat Chrysler boasted an 8% year-over-year increase in June sales, marking its best June for retail sales since 2004. The automaker’s Jeep and Ram Truck brands led the way, with sales increases of 19% and 6%, respectively. As readers might recall, the U.S. Department of Commerce once again invoked Section 232 of the Trade Expansion Act of 1962, this time to investigate imports of automobile and automotive parts. The DOC launched the investigation in late May. During a Senate Finance Committee hearing June 20, Commerce Secretary Wilbur Ross could not offer much in the way of specifics related to the investigation, claiming it was still too early in the process to make statements about what could happen vis-a-vis tariffs. Hearings on the Section 232 probe are scheduled for later this month. As part of the process, interested parties could submit public comments for consideration; more than 2,300 comments were submitted. Unsurprisingly, GM and other automakers submitted comments asking the administration to decide against imposing tariffs. In response, the European Union has threatened to impose an additional $300 billion in tariffs on U.S. goods should the Trump administration elect to slap duties on auto imports, calling the potential auto tariffs a “tax on the American people,” The Guardian reported. MetalMiner’s Stuart Burns earlier this week offered his commentary on the situation and, in his view, the negative impact tariffs would have on the market. U.S. HDG steel dropped $1 to $1,111/st. U.S. platinum fell 5.9% to $852/ounce (its lowest level since it hit $847/ounce as of July 1, 2017). Palladium bars continue to trade at a premium to platinum, but palladium also fell this month, dropping 3.5% to $948/ounce. LME three-month copper fell 2.8% to $6,645/mt. U.S. shredded scrap steel picked up a dollar to reach $371/st. Chinese primary lead jumped 1.3% to $3,193.51/mt.